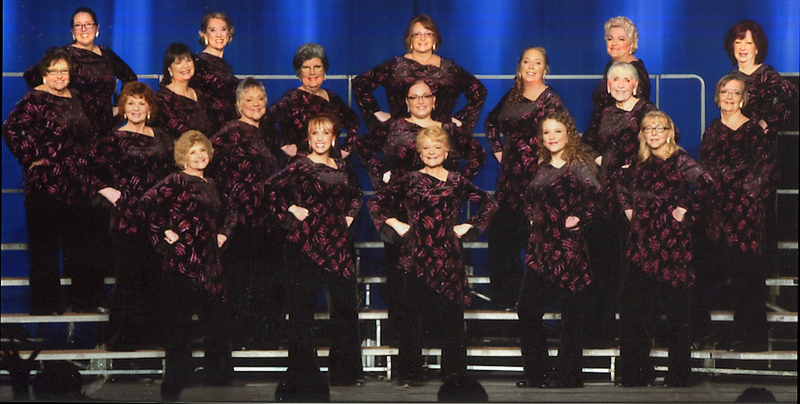 Shades of Harmony is a non-profit all women's a cappella chorus located in Williamstown, NJ. Do you love to sing? We're always looking for new members. Come visit us and see what singing a capella harmony in the barbershop style is all about. We have performances all around South Jersey, and always have a lot of fun! If you'd like more information regarding the Shades of Harmony Chorus please contact Lori Ludlum, our director, at 856-728-2669, or by e-mail at lludlum@hotmail.com. Follow us on Facebook, Twitter, or Instagram! See us at the Williamstown Arts Festival on Saturday, April 27th. We'll be performing on the main stage at 3:45 p.m.